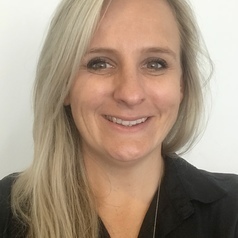 Dr Kathleen Maddison works as an academic and research officer at the Centre for Sleep Science, University of Western Australia and West Australian Sleep Disorders Research Institute, Sir Charles Gairdner Hospital. She completed her PhD at UWA with Prof Peter Eastwood, Prof Jennifer Walsh and Clinical Prof David Hillman as her supervisors. Kathleen examined collapsibility of the human upper airway and the influence of state, posture and instrumentation. Currently she is coordinating patient recruitment and data collection for a number of clinical trials investigating treatment options for sleep disorders including obstructive sleep apnoea and insomnia.